PoKeys57CNC Mach4 and Mach3 motor controller can control up to 8 STEP/DIR signal driven motors (stepper motors, servo drives, etc.) in various applications. The device contains dedicated connectors for connections with motor drivers, pendants, (HD44780-compatible) LCD module, etc. Also 5 analog inputs with 12-bit resolution are available. The device also features four galvanically-isolated open-collector outputs and isolated 0 to 10 V analog output. 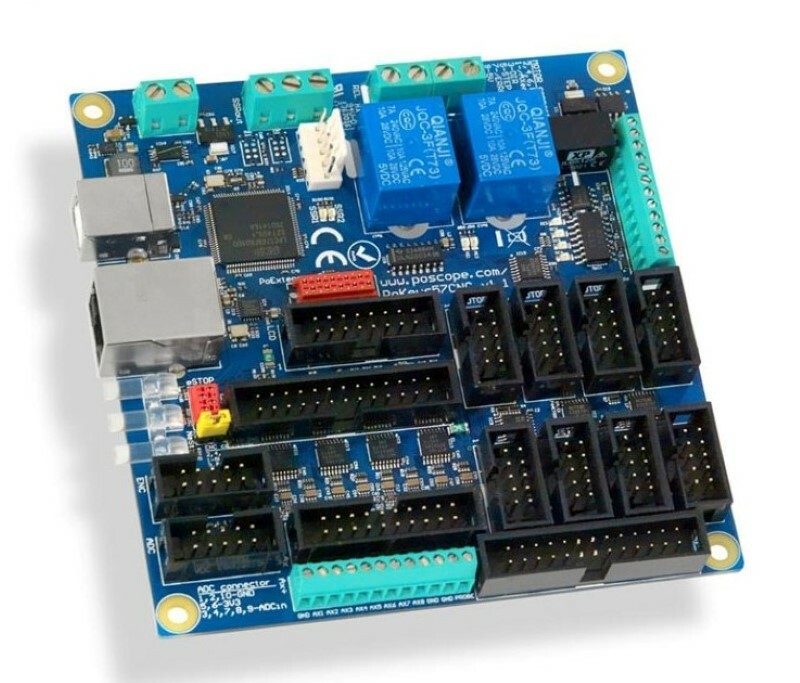 This feature rich CNC Machine interface board has the ability to be controlled by Mach3 and Mach4. One of the coolest features is that this CNC motion controller board can control up to 8 motors/axes. You can hook up a pendant to control the CNC machine away from the computer and controller giving you access and safety to the parts of the machine that you are currently using. See how the motion controller is working with the available LCD connection. Use the available 0-10V analog out signal to control the speed of your spindle from the control software: Mach4 or Mach3. Ethernet connection 10/100 with DHCP client or fixed IP support also a TCP or UDP connection with the device. The multiple encoder pair inputs with three additional dedicated high-speed encoder and one ultra high-speed encoder inputs.,A high performance 8-axis 125 kHz pulse engine with dedicated motor connectors. Peace of mind with fail-safe support in case of communication interruption. 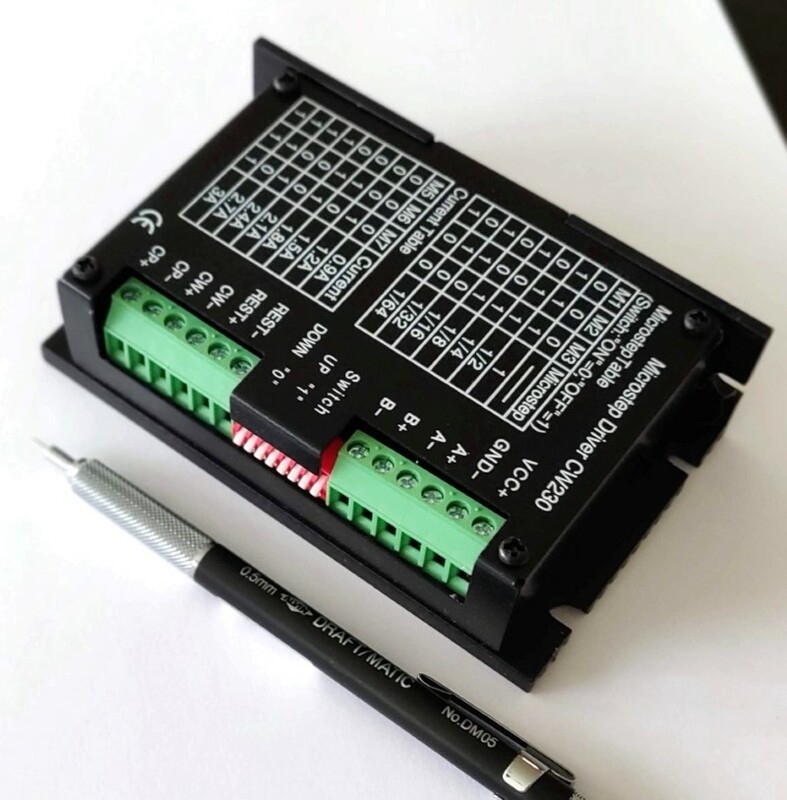 Can support for up to 100 sensors, that can be connected to I2C bus, 1-wire bus or on the general purpose analog inputs. With intuitive and user-friendly software and third-party support via communication DLL library and extensive protocol specification document that allows porting to other systems.